When you want the absolute best protection for your hands, these Steel Mitten Gauntlets are the way to go. A hardy design provides increased protection for the hand, allowing your digits to shrug off strikes that would stop a lesser-armored warrior. These gauntlets are made entirely from stainless steel, and possess a hardy and overall highly protective design which incorporates strips of jointed metal, creating a design that offers good movement and articulation, as well as the maximum amount of protection for your hands possible. 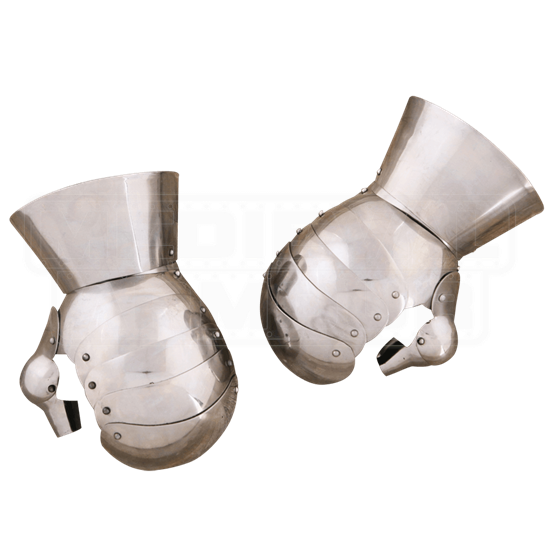 The gauntlets also feature thumb protectors, as well as round wrist cuffs, which offer a bit of added defense for your forearms and wrists, too. The interior of the gauntlets are bare steel, fitted with leather straps for securing the gauntlet to your hand and thumb. The gauntlets are offered in one size, as well as in two different gauges - 18 gauge is lighter and made for costuming, LARP, and some light reenactment, while 16 gauge is thicker and heavier, with more emphasis on SCA events and light to moderate combat reenactment. They are offered as a matched set. Your hands are a key part of your offense (after all, without them, you cannot wield weapons), so it is best to protect them, at all times. 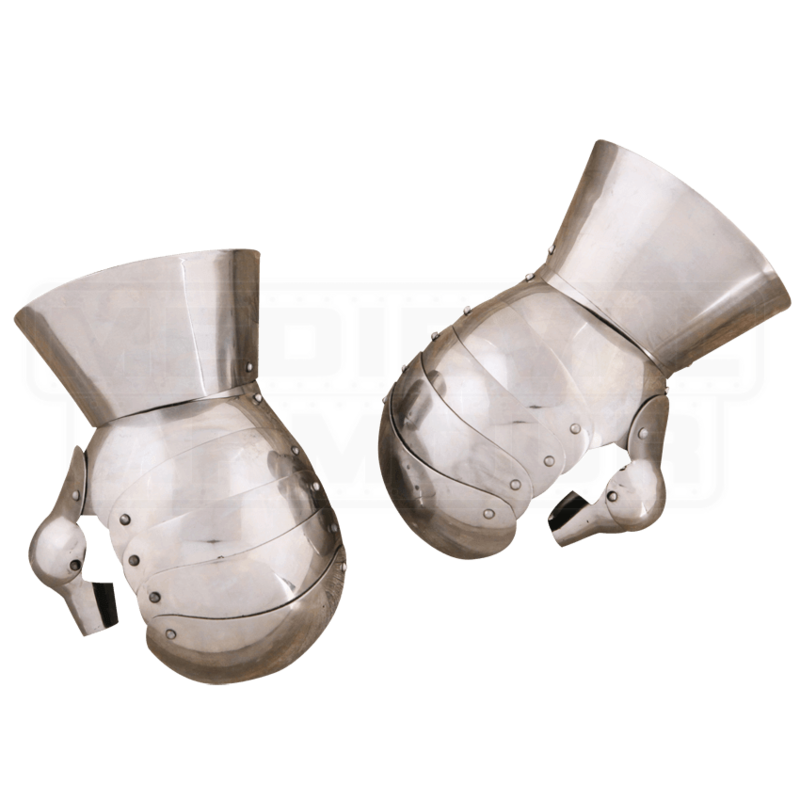 These Steel Mitten Gauntlets offer the best protection possible, leaving you free to focus on your offense, while your armor hands the defense.